In addition, all ELI housing options include access to kitchens, which enables students to prepare their own meals. Note: Any unused meals or dining points cannot be reimbursed to a student. These plans are only good for two sessions (approximately four months). If a plan is purchased half-way through one session, it will only be valid until the end of the following session. You must purchase a Meal Plan at the ELI cashier’s window at 189 West Main Street. For more information, go to the Meal Plan website, or visit the ELI cashier’s window. A “Flex” account is a declining balance account. 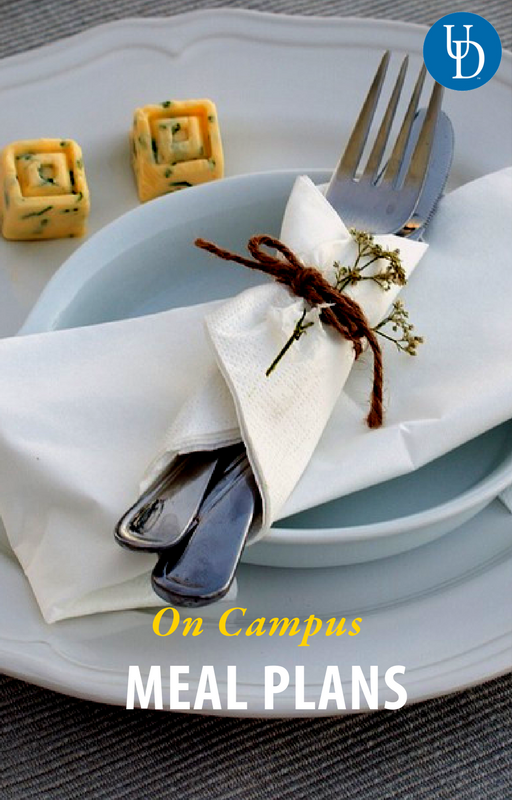 Flex can be used in all dining locations and in many other places on campus, such as the University Bookstore. They cannot be used as payment for ELI activities. Any unused Flex dollars can be reimbursed to the student after he/she has finished studying at the ELI. There is no “expiration date” on Flex dollars. Flex can be used as long as a student is enrolled in ELI or the University. For more information, visit the Flex Account website. You can go to the ELI cashier’s window at 189 West Main Street to find out how to use Flex. We recommend this option for students living in the INNternationale. This option allows you to use your meal plan card to purchase food from restaurants and cafes on Main Street and in the surrounding area in Newark. This is a good option for students who live in Homestay, One Easton, the Global Community, Studio Green, or Pine Brook.